Priscillas: Baby Crochet and a Baby !! I made this stocking cap to go with the red and white stripe cocoon .. and here is the precious new grandson ...He was born on June 13..These photos were taken at 6 days old.. My daughter and I did his photo shoot..I think we did pretty good for amateurs ! The sock monkey set was also made for the last grandson .. I made the diaper cover and came up with my own design for the tail.. 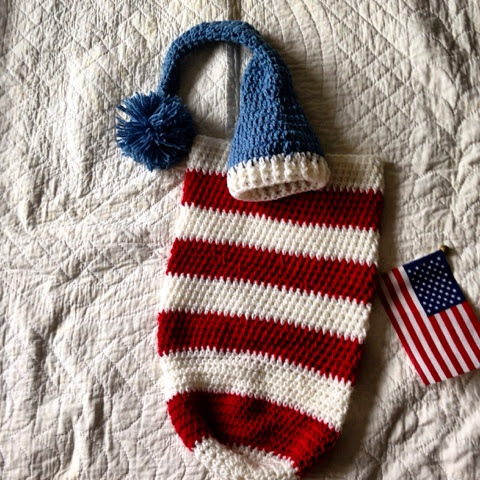 The little fuzzy aviator hat and blanket set was also made for the last grandson .. 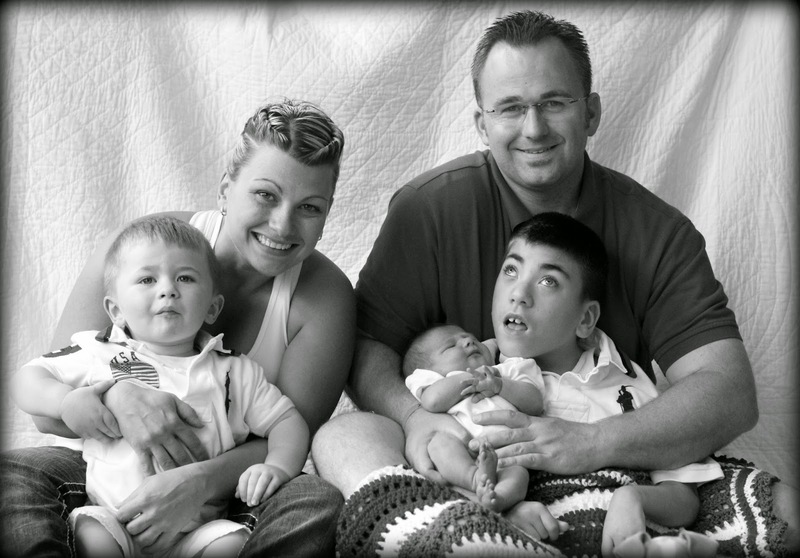 The whole cute family :) My oldest son, daughter in law and the 3 boys ! Oh my gosh, how cute! I think you did better than pretty good on the photo shoot!! Love the elephant and the stocking cap, oh my precious! Thanks for sharing with SYC. Good morning Grandma! I loved seeing the photo shoot that you and Chelsea did. You would not ever know that you are not pros!!! 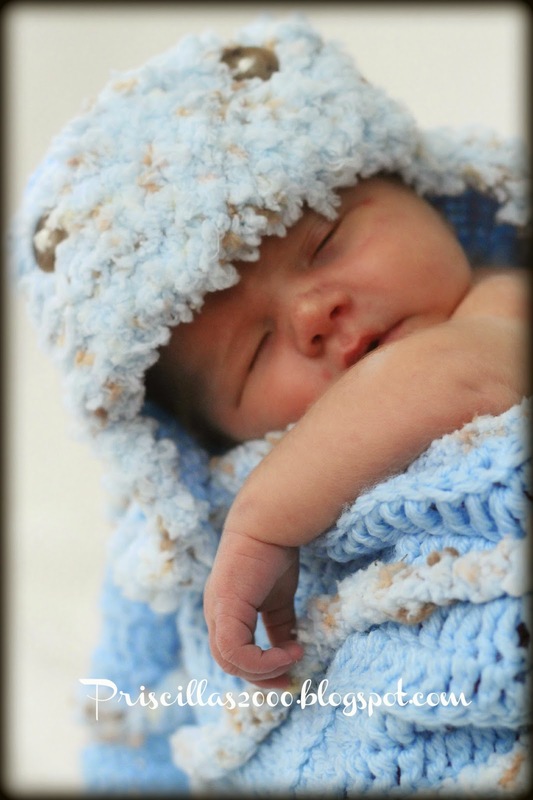 The crochet sets are adorable, and your new little grandson is precious in each one! Love the family photo too. So much to be thankful for, eh? Such adorable pictures! You did a wonderful job. He's so cute :-) Great crochet, too. What a beautiful family!! The three boy club is a special one!! Congrats on the special new baby! I loved sharing your crochet on Crochet Concupiscence and I love seeing all of this here!! What a wonderful family. And lucky you with a new Grandson!! He's lucky to have the great blanket. I thought the photos were just amazing! Oh, congratulations, Priscilla--how very wonderful to have three grandsons (boys sure run in your family--just like mine :). 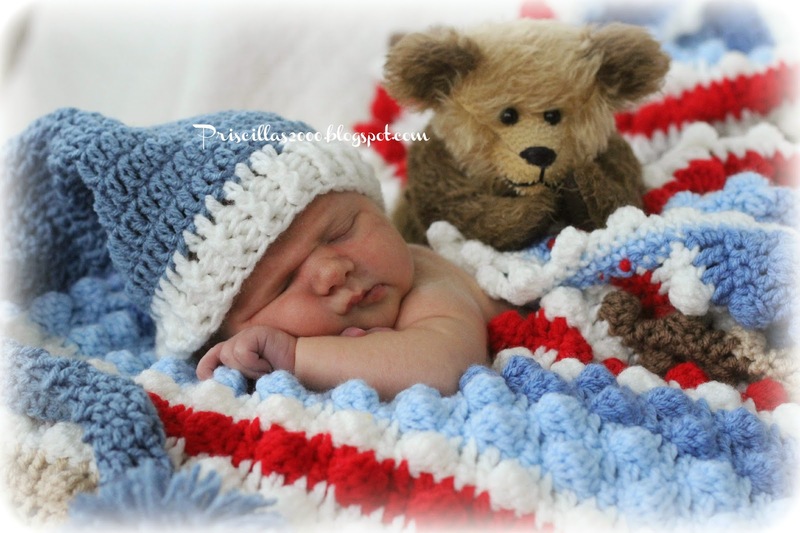 The crocheted pieces are so sweet and you and your daughter make a great photography team... Enjoy cuddling your new little guy! Wow! I'm loving your creations! I really love the elephant applique and the baby cocoon. Sooooo adorable! 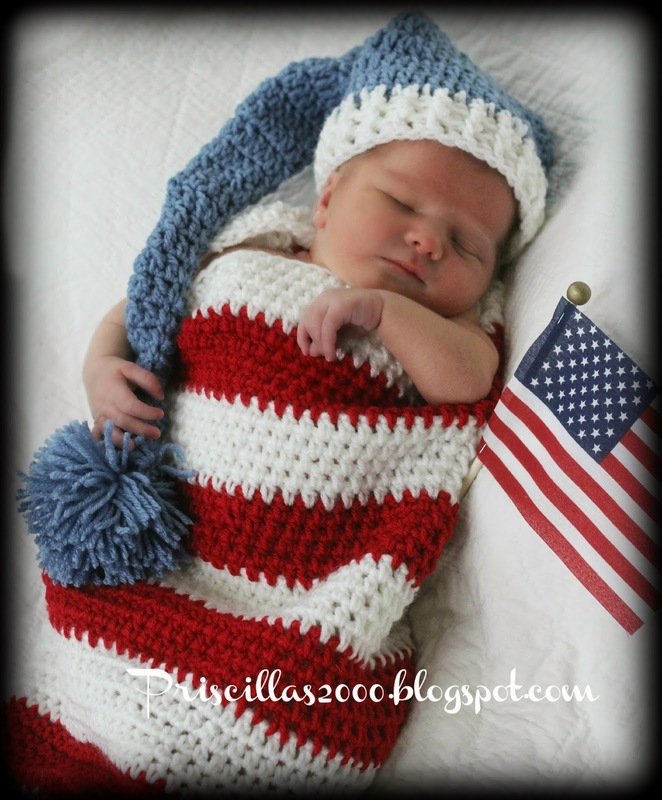 I've got to get crocheting for my soon to be baby soon. 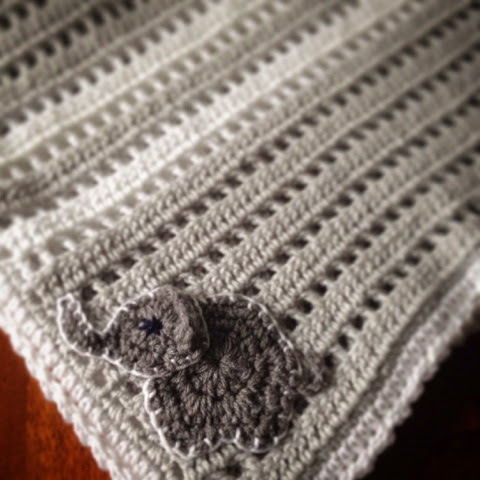 I would love to also know the pattern for your elephant blanket. It is so adorable and would like to know what brand and colors of yarn that you chose. Hello ~ me too with the gray baby blanket. Can you offer some pattern info? What beautiful creations! Especially the new grandson! A wonderful family to be proud of. Such a lovely blanket! Please share the pattern.